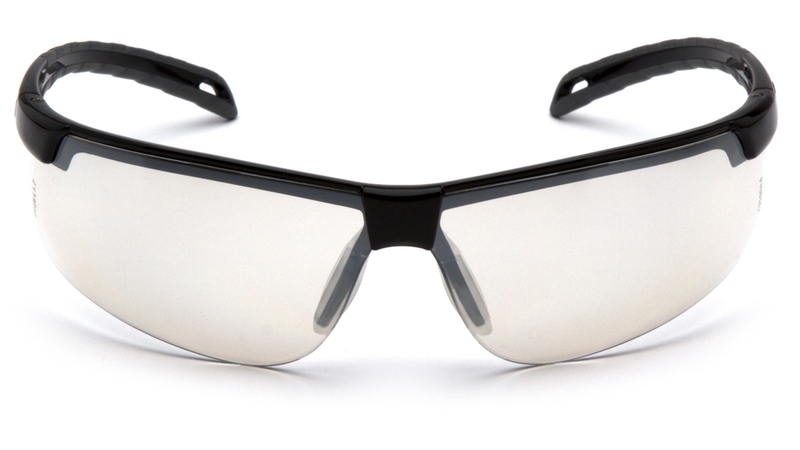 Ever-Lite from Pyramex Safety Products is sports styled and described as one of the lightest safety eyewear products you will ever wear. With dual injected temples, a soft nosepiece and wrap-around protection, this all-purpose safety glass is suitable for all-day wear. Ever-Lite has a wide selection of lens options, including the new Pyramex H2MAX anti-fog/anti-scratch polycarbonate lens, giving the ultimate performance against fogging, providing resistance against chemicals and oils and 99.9% protection against UV light. Ever-Lite is available with the following lens options: Clear, Grey, Amber, Indoor/Outdoor Mirror, H2X Anti-fog/Anti-scratch, H2MAX Anti-fog/Anti-scratch.